If you ever wondered what a purple rubber osage orange would look like, well, here you go. This is a purple rubber osage orange casting. 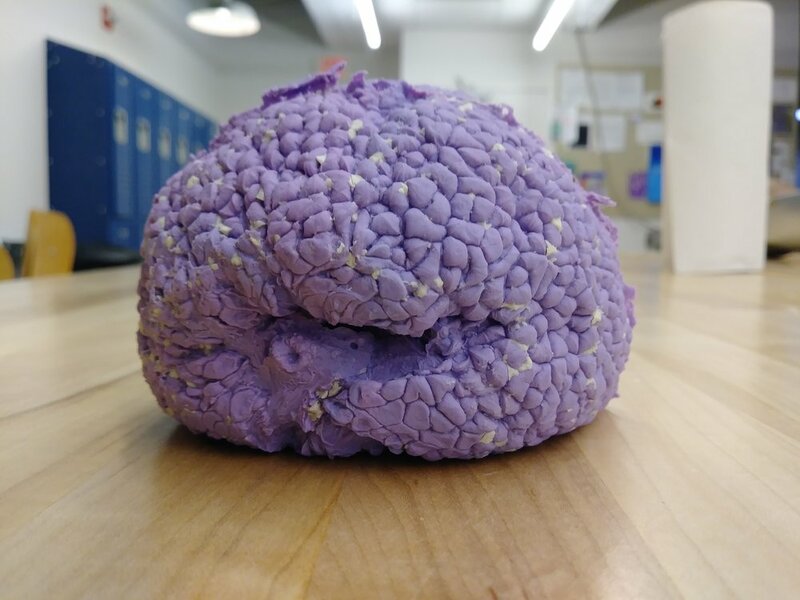 First I made a plaster mold from an osage orange, then I cast a copy of it in purple rubber. Should we call it osage purple? Osage oranges have become a trendy table decoration in the last few years. Since I had one sitting around when I also had some plaster gauze and purple tin-cure silicone handy, this next logical step presented itself. We live in the future.